I've been thinking about this for while. Especially once the Turning 5 process began and all the schools I was considering were in the City, Westchester, Queens, Brooklyn, Long Island. Aside from the District 75 schools and the ASD Horizon/Nest programs, there is not a single school dedicated to children with autism in The Bronx. Let me be more specific. 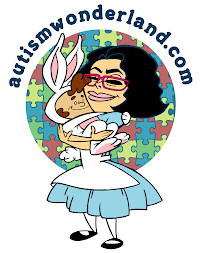 There is not a single school dedicated in The Bronx for children with autism like The Boy. The Boy is somewhere in the middle. And so many children fall into that category. Bright kids. Sensory seeking kids. Kids who don't how to make a friend. Or carry on a conversation. What I discovered last year while touring, applying and talking to directors of these special needs programs is that while they accept the autism classification, they do not accept children with behaviors. Think about that for a second. A child with autism. With no behaviors. After being rejected from so many schools, I had a candid conversation with the director of my dream school. She pretty much said, if The Boy didn't have any of his behaviors, if he didn't need the constant redirection - he would have been accepted. Last night I recieved a call from my friend Gen. She also happens to be The Boy's former ABA therapist. (She is also pursuing BCBA certification.) She knows everything we've gone through in the last year. And she said, "It's great that you write your blog, but we need to really do something." Gen wants us to start a school in The Bronx for kids like The Boy. The Boy needs a school where they follow a combination of ABA and TEACCH. The Boy needs a school with a sensory room, with an OT who is on staff not contracted. The Boy needs a school with speech pathologists and Behaviorists and Special Education teachers and assistants who have a true understanding of autism. The Boy needs a nurturing environment. The Boy needs a school with sensory friendly classrooms. The Boy needs a school that involves the entire family. Does this sound like the kind of school your child needs? Well...Let's create one. WE need to "be the change that [we] wish to see in the world." Yeah, I know this seems like a pretty lofty idea. But every dream starts somewhere. *This post was inspired by many events that have happened over the course of the year and by a Kick in the Blog.